One of the most important events in your life is when you purchase your first home. The decision can be a scary and intriguing, but with the right help, it will be one of the best and most memorable experiences you will have. Since this is a very significant decision, Riva Title Company wants to share with you some signs that let you know you are ready to purchase a home. You have a dependable income. This is extremely important when considering the option of owning a house. Buying a house is a strong financial commitment that you do not want to make if you do not have a reliable income to help you through. Having a steady and strong income will allow you to successfully complete the process of home buying, without leaving you with difficult money issues. You have saved to pay for about 5%-10% of the house in cash. If you have prepared to purchase a home and created a savings for this, then you are on the right path. If your savings total at least 5% of what you are willing to pay for a house, then you are most likely ready to begin the home buying process. Remember that the more you have saved for the house cost, the easier it will be to find the house you want, and get a comfortable payment plan. 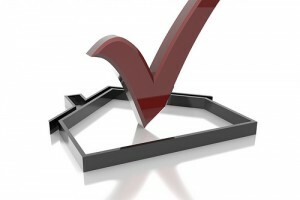 You are mentally and financially ready to care for your house. Another important factor that many escape when they consider buying a house, is whether they are mentally and financially prepared to take care of the house maintenance. Fixing things around the house is not just money challenging it is also mentally tiring. You have to be prepared to keep your house prepared and up to date, from pluming to roofing, to painting or renovating. You might want to take a look at our advice for fixing up the exterior of your house, in our Rejuvenate Your Exteriors post, for ideas on ways you can take care of your future home. Here at Riva Title Company in Coral Glabes we want to make sure that the whole home buying process is as enjoyable and easy going as possible. You can count on us for anything from title insurance in Coral Glabes to any of your home buying needs. Call us today at (786) 787- 7888.